I left Norrland with mixed feelings. I loved the endless forest and open road...but I also was looking forward to warming weather. Unfortunately, my time up north also left me with more than memories- an awful sinus cold. After hiking in Skuleskogan National Park, I was so exhausted that I needed to camp in the parking lot instead of heading off on our bikes to a campsite. The next morning we made it to Härnösand where I went to a health clinic and assured me that I wasn't dying, and it was just a nasty virus. This situation changed a lot of my plans for mid and southern Sweden. I was hoping to explore more of the central area- the Falun mines for example, but I knew it would be risky to get behind when we had to make it back to Tibro eventually. So what does one do when they're really sick? 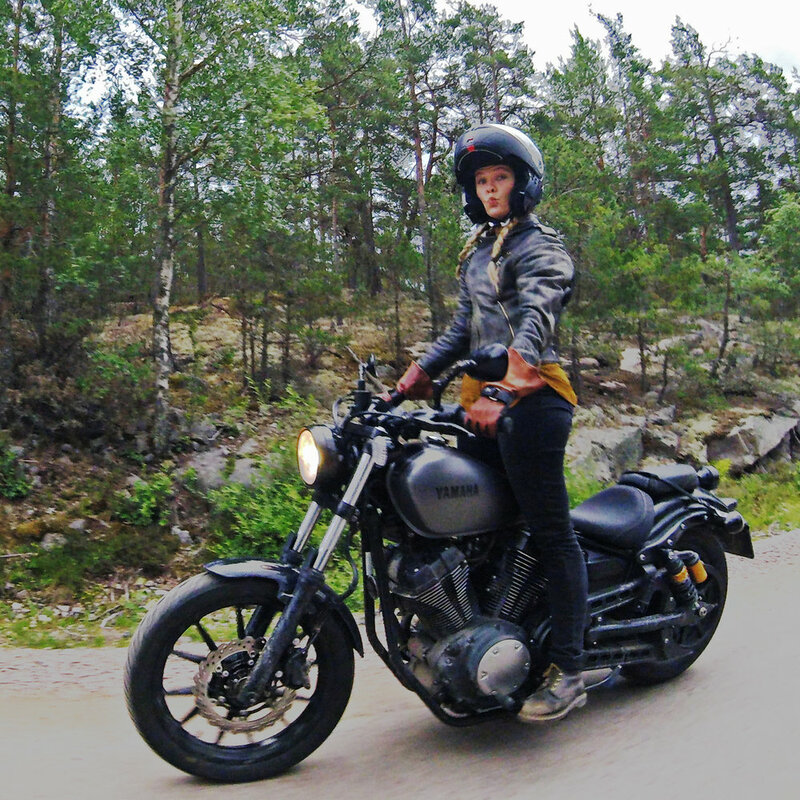 Well I rode motorcycle 450 km from Härnösand to Stockholm! In retrospect that might have not been the best choice in my path to wellness, but it wasn't raining, and on this trip, that means RIDE. We did make a lovely pitstop at Gränsfors Bruk, the hertige axe factory. 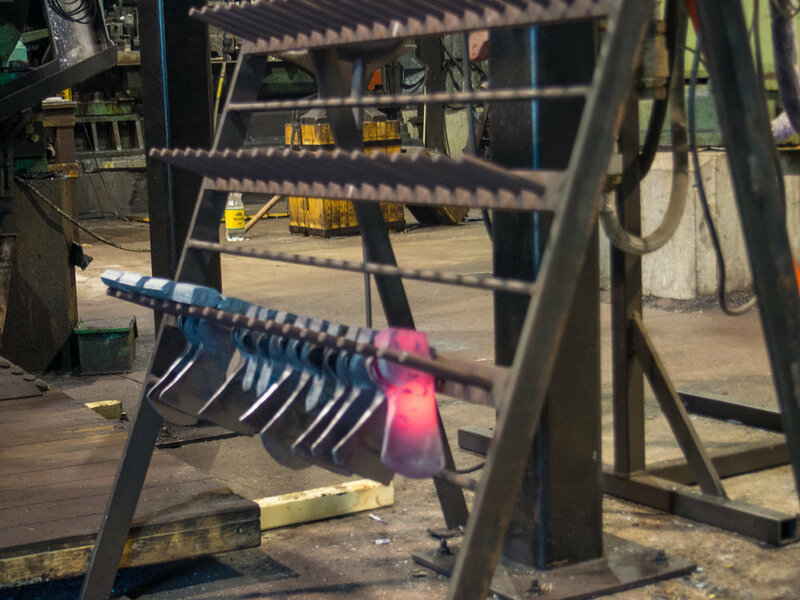 There we got to see axes being made, a museum full of axes from all over the world, and even throw a few axes into some targets- or at least attempt to. We rode into Stockholm late, which was a fun experience. Riding the tunnels and bridges with no traffic was a great way to see the city lights. The Allt For Sverige crew was in Stockholm, back from filming season 7, so I was able to catch up with them that night and get all the dirt on the new season. It is always nice to see familiar faces when you're on the road. We stayed on the island of Långholmen in an old prison that was converted into a hotel. It was actually really cool and Davey and I got a room that was an old cell with bunkbeds! Our time in Stockholm was short, so we got back on the bikes the next day and made our way to Nykoping. In 2006 my brother David went to high school with a Swedish foreign exchanged student, Jonny, and he was gracious enough to open his home to us. And lucky for me, because I hit the wall and totally collapsed on his couch for three days. I was disappointed that I didn't get to explore more of the area, but I was also really relieved to have a place to recuperate. I did do some exploring in the area. 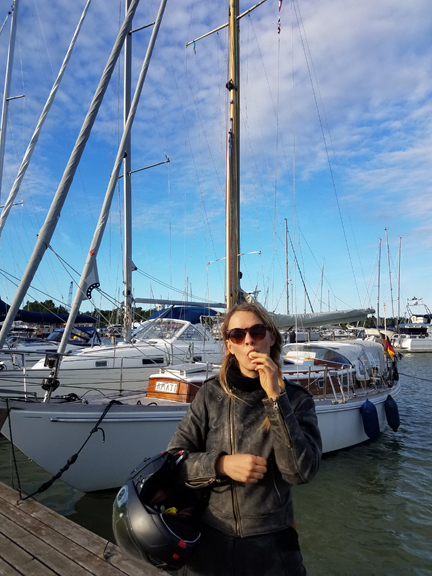 We made it out to Trosa and strolled along the harbor admiring sailboats and eating ice cream. There was even a classic car show in town, so I got to see some really cool old European cars, like Volvos I've never seen before! Jonny did take us out to Stendörren Naturreservat after a few days of me lazing around and it was nice to get back on the bike and go on a hike. After feeling a little better, (maybe 75%), I hit the road again and made my way back West toward Vättern and the magical village Gränna. I'll update you soon!